California Construction Center is a local Los Angeles firm that has been renovating and remodeling residential properties throughout California for over 25 years. The Garden Route Company was founded by Richard Radford and Sandy Ayers in 2000 and has continued to design & build groundbreaking landscapes throughout California and abroad. 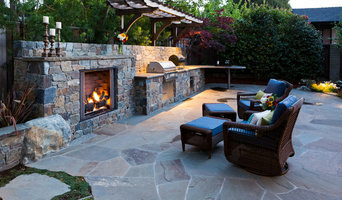 *Belgard Authorized Contractor* Garden Lights Landscape Development is an award winning landscape design/build firm that has been installing distinctively dramatic and eye-catching gardens in Lamorinda and the greater East Bay since 1989. The Garden Lights Team offers their clients the unique advantage of years of experience in both design and installation of landscapes and pools. 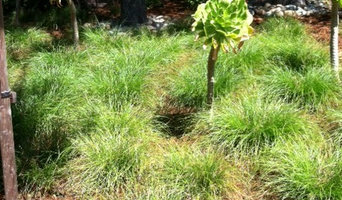 Our expertise extends to all aspects of landscape development including: landscape design, irrigation, drainage, softscape, hardscape, pools, spas, ponds, streams, waterfalls, landscape lighting, and landscape and seasonal maintenance. Pedersen Associates has provided comprehensive land planning and award-winning design services for estate, residential and commercial clients since 1983. Working primarily in Northern California allows Pedersen Associates the opportunity to work on a wide variety of sites, spanning multiple topographies, ecosystems and microclimates. As a Bay Friendly certified firm, our work is based on the most recent concepts in sustainability and green building, ensuring the highest environmental standards in landscape architecture. Pedersen Associates’ projects range from the Napa Valley estate, to the contemporary coastal outpost; vastly different in scope, but unified by thoughtful design and an understanding of California-living. Well known for designs that foster a seamless flow between indoors and out, our team brings innovative ideas, elegant solutions and over 30 years of experience to every project. ALFAN DESIGN STUDIO (ADS) Founded by Rafat Fadel is located in Berkeley, California, we offer landscape architectural services for residential and commercial clients throughout the San Francisco Bay Area and across Northern California. We create comfortable and compelling spaces that respond to the site, house style, and region of the project, with innovation and sustainability. 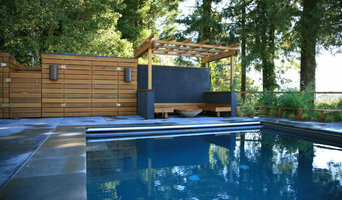 Our firm specializes in many styles from traditional to contemporary small urban gardens to large estates. OUR DESIGN PROCESS Our design process is simple. We work closely with our clients to create a living environment that reflects and enhances their life. We treat each project as an opportunity to create a new, exciting, and unique design. We include elements that highlight the beauty and strengths of the existing features and space. We work within the client budget and meet all project deadlines. Working directly with our architect partners to thoughtfully integrate indoor and outdoor spaces. We recommend or assist with contractor selection, project management, consultation, site observation during construction, budget planning and more. We hope you will join us in this experience. Galen Fultz has been designing landscapes in Northern California for 30 years and is the owner of Avant Garden, a Marin County landscape design company. He has been cited in numerous publications and showcased in Better Homes and Gardens, California Home and Design, the Ross Garden Tour, and the HGTV Channel. Also a teacher, he founded the Marin Gardening School in 1996, taught landscape design at Academy of Art University in San Francisco, and frequently gives talks at local nurseries and garden related events. At Studio M thoughtful residential design begins with you. Your home, your needs, your goals. We work with homeowners as part of a team. Once we understand your goals, we determine a budget, and then provide clear, strong design options. Studio M provides residential design services that are modern at their core. Our work takes into account the specifics of your property, your home, and your preferences. To create homes that reflect your personality, we collaborate. We listen. Our approach begins with an understanding that the spaces we design will shape the activity of our clients’ lives. So we take the opportunity seriously and design with great care. And we approach each project, from small bathroom remodels to new homes, with the same attention. The result is as unique as you are. At the end of the day, your new residential design from Studio M will reflect who you are and support how you want to live. Arterra provides a unique and visionary residential landscape design service which integrates art with technology. The resulting gardens are sculptural, visually stunning and environmentally sustainable. Working with a design lexicon that is at once timeless and contemporary, Arterra crafts gardens that give voice to the client, the site and the architecture. Partners Kate Stickley and Vera Gates welcome new and inspired commissions. Best of Houzz award 2018-2019. Christian Douglas Design, Inc has over 20 years experience in innovative design, construction and urban farming. They specialize in creating high functioning stylized spaces which not only look beautiful, but produce food, habitat and support the local environment. Trained in classical architecture and design and having worked in multiple continents and climate zones, CD Design are proficient in a wide range of differing design styles - ranging from Modern Mediterranean to English Cottage and beyond. 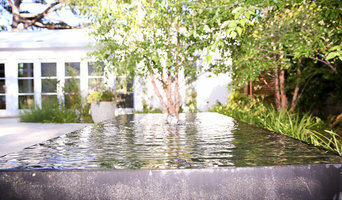 Clients are involved through every stage of the process resulting in highly detailed landscapes perfectly tailored to reflect their unique, individual aesthetic.